We could do with a nice-smelling Aromatisse in the Nintendo Life office. Two new Pokémon have been revealed ahead of Pokémon X & Y's global release next week, and it seems that the sense of smell is a running theme with these two creatures. Slurpuff, the evolved form of cotton candy Pokémon Swirlix, looks equally as pink and fluffy as its earlier form. However, its most impressive feature is that it possesses an incredible sense of smell, one which is actually 100 million times more sensitive than that of humans. Using this ability, it can supposedly detect even the faintest of odours. The other new addition to the line-up is Aromatisse, the evolved form of Spritzee. This Pokémon is different from Slurpuff in that it can emit a variety of different smells, ranging from extremely pleasant to downright horrid. This ability will prove beneficial in battle, as it enables Aromatisse to attract or repel opposing Pokémon. We imagine that Slurpuff — with its heightened sense of smell — won't want to cross a battle-ready Aromatisse any time soon. Will either of these new Pokémon be making it into your squad? Let us know in the comments section below. oh my god it's so ugly. I don't like it. gross. I hope not a lot of the Fairy types are going to be this lame. Why can't we get more wicked Fairy types like Xerneas? The candy one is fine, but the bird thing.... Ugh. Never liked the preevo either so whatever. When you guys n' gals see Goomy you will forgive these other designs. Although the final evolutions of the starters have received a lot of... strong dislike. Yay a cake Pokemon! Actually, it seems to be a cross between a cake and a stereotypical French chef uniform? @DarkKirby Really? I think the ninja looks cool. @GuSilverFlame You say that as though Luvdisc never happened. Slurpuff is so cute and I'm happy I'm getting X! I can't wait to catch Swirlix. This is becoming more of a digimon thing. Its not really "bad", dont get me wrong, it just feels a bit like jumping the shark a bit too often for me. I like 'em just fine. Not my favorites ever, but hey. They're alright. 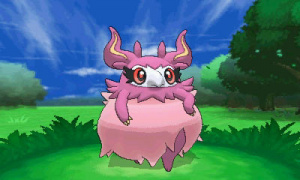 @Ernest_The_Crab The official description from the Pokemon site for Slurpuff is "Meringue Pokemon." @GuSilverFlame oops... well now this is just awkward. It's hella ugly...you call that a pokemon Nintendo? Slurpuff over Aromatisse any day of the week, month, year, etc. Did I read that right? When did they announce the final evolutions of the starters? @Justin: Because Muk and Weezing are pretty.. I like how Aromatisse looks!. @sinalefa They were leaked from people with early copies. Along with a Flying/Fighting bird pokémon. To be honest i only really like Chespin's final evolution. The rest are... ehhh. @sinalefa They didn't announce them. Apparently, they've been leaked. The fire one has an in-game model so it's taken as legit, the other two don't seem to have models shown, just pictures. @sinalefa take a look http://www.escapistmagazine.com/news/view/128390-Pokemon-X-and-Y-Starters-Final-Evolutions-Revealed they are ugly as hell. Thanks for the info and thanks to Furret for the link. No wonder we have access to the original Kanto starters as well, haha. @LoveNinty WOW! Never saw this site! Thanks for posting the link! If that is Chespins final evo, I glad I picked him. I really like it! Version exclusive Pokemon tend to be very gimmicky and mediocre and this pair is no exception. While I have thought of grabbing a Swirlix before(its a pretty cool concept when you really think about it) I knew it would have nothing but a subpar evolution just like its big nosed counterpart. Well it's nice to see that not all new pokémon designs are spikes, angles, and primary colors. Hahaha Slurpuff: The alcoholic Pokémon. Once you guys see Goomy you guys will forgive these two for being lame. Goomy the best Drangon Pokémon ever! Nooo. Yet another poorly drawn 'mon to be consigned to some dark corner of a Pokémon box.